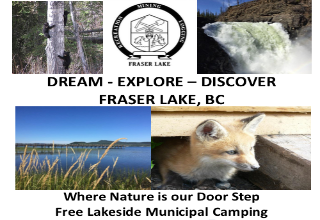 The park offers the local community camping and picnicking with an easy 1 km walking trail. The sounds of water and cool breezes make Kleanza Creek a must stop - especially on hot days. Its natural beauty attracts many local residents for special occasions and is used often for wedding photos. 32 campsites, picnic area, hand water pump.